Have you seen the new eBay collections? I’ve already posted about how I am featured in the eBay tutorial that supports the launch of the collections but I’ve also been curating my own collections on the site. Ebay collections is a way to gather all of your favourite things, in groups, all in one place to swoon over. I’ve been really impressed with the type of products you can actually find on eBay, much to my surprise, so it’s really worth giving this new concept a go. I had great fun, pulling together ideas for different collections which range from my featured Scandi Chic, to Mid Century Madness, What a Hoot, and my personal favourite, Sherlock Homes! 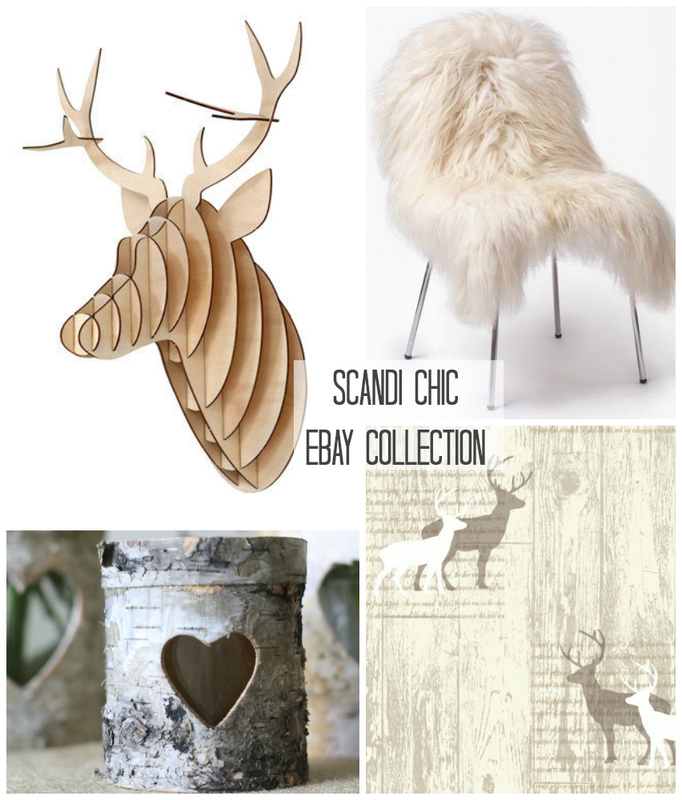 This collection, the Scandi Chic looks at my love of Nordic styling: Simple, Cosy and Chic. This next one is ideal for a coastal or beach theme in the home, which never seems to tire. And then finally, this is another favourite, and seems to be gaining a few followers too. Ooh La La! My French Boudoir collection. eBay collections works in a similar way to other social media sites, and you can follow a user or a collection. Or both of course. So for example, you can follow lovechiclivingjen on eBay, or you can follow a collection like Scandi Chic which means you’ll see all the additional items added to the collections in your ebay feed. The whole concept is a great way new way to see what’s hot and trending on eBay. It’s been great fun to be involved and I do hope you can see the ideas behind the collections. eBay really seems to have pushed itself and to me, improved the quality of what’s available on the site. I’m really impressed. Of course, being endorsed by Danni Minogue, Kelly Hoppen and others has really raised its profile in this area and I’ve loved being featured on the Collections pages, of course! This post is in association with ebay, but all words and opinions are my own. Previous Post What Makes a Good Family Home? Oh i love the french boudoir would look fab in my bedroom. OOh lala! Oh it really would. I think I had your bedroom in mind when I built the collection. Or should I not have said that out loud! I am loving your perfect playroom collection, I want all of it! Thank you! Hunting around for the images does fill me with inspiration! I wish we had space for a play tent! I love all your collections. I’m going to use them to inspire me on my next projects. Can you please do a kitchen one, that’s my next big job! Haha, yes what a good idea, don’t have one for the kitchen! I’m a big fan of moose heads too! I am loving the Treasure Hunt collection, this is the sort of thing Alison would love! although saying that the perfect playroom also looks amazing! Got to love them. This is the stuff that turns houses into homes! The French Boudoir looks absolutely lovely! No I didn’t know about the collections, what a great idea. THIS IS EBAY?!!! It looks like a high-class boutique store. I always think of ebay stuff as being cheap and cheerful. I never thought you could find quality items like this. Congratulations Jen, you are fantastic on the ebay videos. 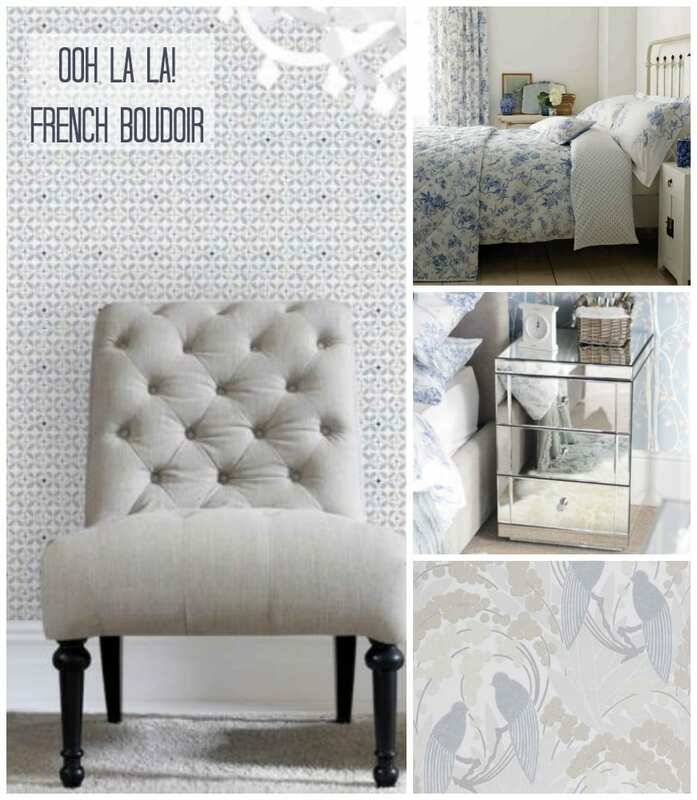 I really love the Scandi collection and I am also a little bit in love with the wallpaper in your French Boudoir collection. when i have the money, ebay is absolutely one of my favourite places to buy things online! i love that furry chair cover, +have wanted one of those for ages. 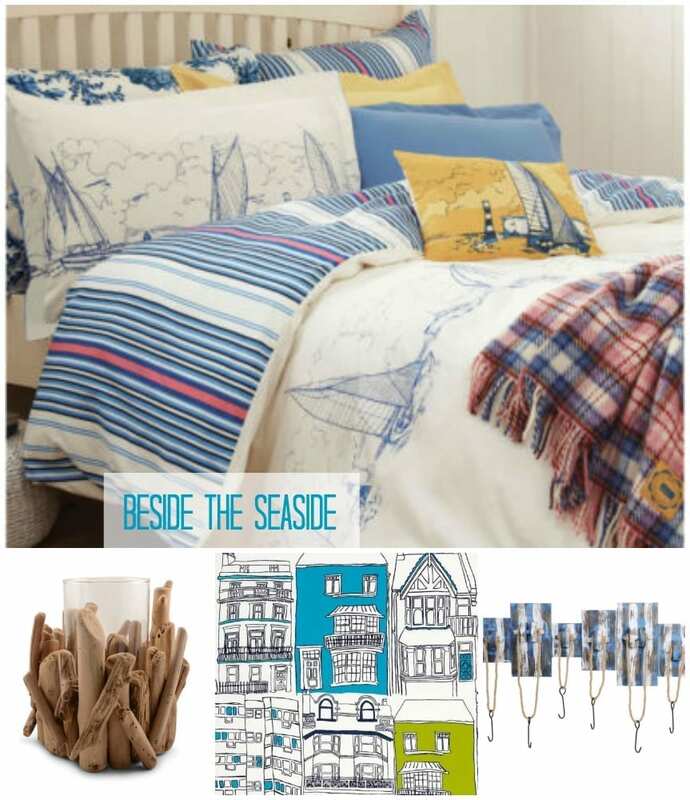 I love the seaside collection. I have been thinking of giving our spare room a sea side theme so I’ll probably be hitting ebay for different bits and pieces over the next few months.